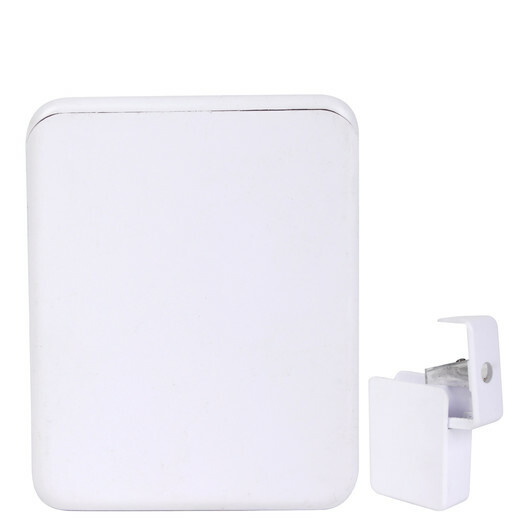 A white rectangular pencil sharpener with lift off lid. 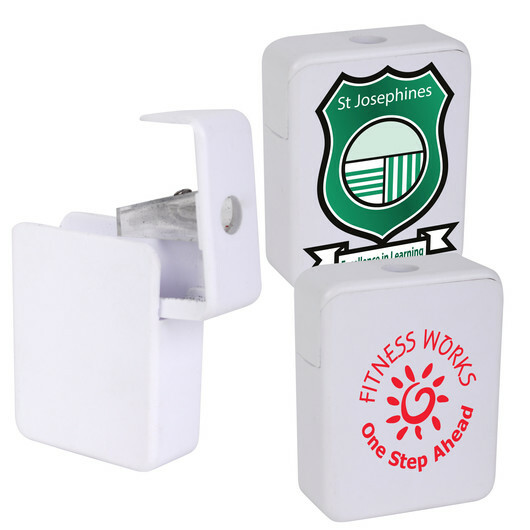 If you're looking for a pencil sharpener to promote your logo then these are a great choice. They have a specially designed lift off lid that enables clean disposal for pencil shavings. They have a prominent decoration area and make for a great addition to any pencil case.